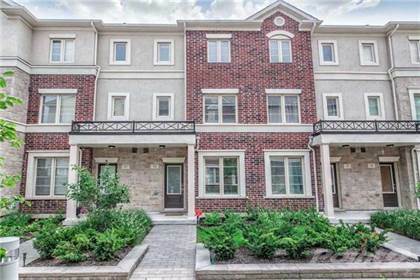 Contemporary 3 Bedroom Townhome Built By Award Winning Menkes Developments! \r\rFeaturing 9 Ft Ceilings On The Ground Floor With An Open Concept Layout, Hardwood Floors And Stone Backyard With Access To Common Area!\r\rGorgeous Kitchen With Stainless Steel Appliances And A Huge Breakfast Area!\r\rBeautiful Master Bedroom With Separate Standing Shower And Huge Walk-In Closet!\r\rTerrific Location: Walking Distance To Sherway Gardens, Highways, Great Schools, Ttc & More! Hi, I'd like to find out more information about 636 Evans Ave. Thanks so much!